How'd Rockford Pull Off Surveillances in That Flashy Firebird? I'm a huge fan of the old TV series The Rockford Files, staring one of my all-time favorite actors James Garner -- in fact, my husband and I own the entire series on DVD. But gotta say, how'd he pull off all those surveillances in a shiny gold Firebird? Having co-owned a private investigations agency for a decade, I can definitely say it was magic because in the real world, a P.I. driving a shiny metallic muscle car is gonna get the P.I. burned, or caught, sooner or later, likely sooner because the car stands out like a Vegas neon sign. That's why Rockford's surveillances in that Firebird aren't realistic, but who cares -- that show was all about entertaining viewers, which it did and still does. Want to watch some of those Rockford Files classic shows? They're available on hulu - click here. But when it comes to writers portraying realistic private eye characters, they need to keep them out of flashy cars while they're on surveillances. A successful P.I. knows how to blend in, from the clothes he/she wears to the vehicles they drive. Let's look at some examples. When working a surveillance, I've worn elegant dresses to five-star restaurants to jeans and flannel shirts in the country. I've also made the mistake of not researching what women were wearing to a certain function I was attending undercover, and although I was dressed differently than everyone else, I fortunately didn't stand out enough to hinder the case. Taught me a valuable lesson though. Research, research, research. Rural areas: Jeans, shirts, boots. Lengthy surveillances: Comfortable, appropriate clothing. Summer Surveillances: Respect the Heat! Pick shady spots to park in. It can be problematic running the air conditioner (remember, surveillance is about blending in, not drawing attention to a parked, seemingly empty vehicle that's suddenly running the A/C ). Some investigators purchase portable units that help keep the inside of a vehicle cool). If possible, take breaks in air-conditioned buildings. Wear a rimmed hat and sunglasses. Stay hydrated (drink water, Gatorade or fruit juices, not sodas or coffee). In the country, a P.I.might drive a pick-up (not a shiny one, a dusty one). In the city, a P.I. might drive a sedan or van. Bicycles are great for areas like parks. It's helpful if a vehicle model is difficult to identify and easily confused with other makes. Also, the vehicle should be an unremarkable color that no one remembers clearly (a shiny gold Firebird stands out!). 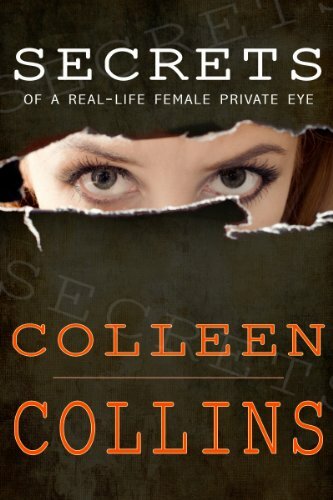 Last, I'm sharing an excerpt of my article "Top Three Mistakes About Private Eyes Depicted in Novels," posted at Digital Book Today. An excerpt is below, with a link to the full article at the end. Enjoy! Besides working as a private investigator, I love reading the private eye genre. And there’s plenty of wonderful writers out there crafting compelling stories featuring private eye protagonists. I should know -- for the last three years I’ve been honored to be a judge for the Private Eye Writers of America, and in this capacity I’ve read over 200 novels featuring private eye protagonists. But sometimes I cringe when I read a cliche or blatant mistake about private investigators or their work. Today I’ll note the top three mistakes I’ve found. This covers a range of activities, from PIs hanging out at crime scenes with their cop pals to rummaging through a dead body’s clothing to find a wallet, cell phone, matchbook, etc. Regarding the former, I know, we see PIs and cops hanging out at crime scenes all the times in movies and TV shows, but it’s not like that in real life. It’s not totally improbable–as my PI-lawyer-partner and I wrote about at our sister site, Guns, Gams, and Gumshoes (“Answering Writer’s Questions about Police Detectives, PIs and Crime Scenes”), it’s possible a law enforcement officer, under extraordinary circumstances, might invite a PI onto a crime scene–for example, if the PI had some forensic expertise that would benefit the investigation–but as I said, it would have to be for an extraordinary reason. I debated whether to write “most PIs” or “many PIs,” but I opted for most because in my experience, most PIs I know have some level, from basic to advanced, of technological smarts.